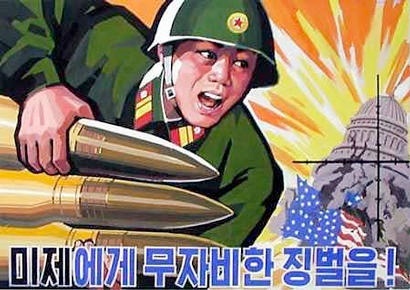 I read this article this morning about North Korea saying that sanctions applied against it will be a “declaration of war.” This is in response to the UN condemning the country for launching a rocket earlier this month, which was in direct violation of a 2006 Security Council resolution. This scares the shiznit out of me. I am very interested how the UN with work with the US, Japan, and China in regards to getting North Korea back on the leash. Time will tell.